Falling for a teacher breaks all the rules...what if he wants to break them too? Jenna's parents say they love her. So why do they ignore her? Jenna's brother says he loves her. So why hasn't he visited her in years? Jenna's teacher says he loves her. 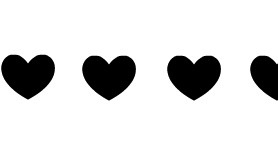 He treats her well, he protects her and he tells her she's beautiful. Mr. Anderson is the only one she can trust. So why is Jenna telling her story to a detective? Jenna and her family all have their own problems, whether it be mental or physical. Jenna is vulnerable - she feels like no one cares for her and she feels like she can't trust anyone. Some things she did confused me. For example, she is very clumsy, especially at the beginning, yet she is meant to be an elegant, graceful runner. Also, Jenna's problematic parents don't trust Jenna at all, but then they're suddenly fine with leaving her to live alone for a week. In general, some parts of the story didn't really add up. But I appreciate that it is fiction, so really, anything could happen. I couldn't relate to any of the characters in this book - in fact, I felt quite detached from them. I really disliked Mr Anderson. I'm not sure what the author wanted us to feel about him, but I definitely didn't feel sympathetic towards him. He was creepy! I really don't know how to feel about this book. One good thing about it is that it manages to keep the reader intrigued - it's definitely not a book you can just put down! It was amazingly written, but I don't know if I enjoyed it very much. It was full of traumatic experiences, and it was all about Jenna's vulnerability and fear. 'Drowning Instinct', for me, was predictable until maybe the last 100 pages or so. That's where the plot really started getting exciting and interesting, and maybe even a little scary. Personally I think there were too many subplots in this book. I can't help feeling it might have been better if it was two books instead. Don't get me wrong, this book is great, but it's definitely not for everyone. Most reviews I've seen for this book have been positive, but it just wasn't my cup of tea. I do recommend this book, because the author has obviously tried to write about a subject that is extremely complex, and she's done it rather well, but you should only read it if you don't mind a depressing story about traumatic experiences. 3.5/5. Sorry that you weren't really into it :( It's annoying when that happens but at least you have it a bash! 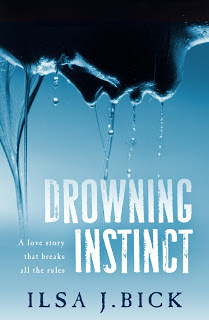 Drowning Instinct looks like a marmite book but I'm definitely intrigued so might give it a go. Thanks! You should definitely give it a go, you might enjoy it. It is a love/hate kind of book! I'll put it on my wishlist but it won't go too high just yet :P Have you read her other book, Ashes? No, I'm not sure whether to try anything else by the same author. Have you read it - is it good? It was so hard to write this review. I did enjoy the writing, but the topic was a hard one to enjoy overall. Does that make sense? Thanks for your comment Zoe! I've hear great things about this one, it's on my to-read list.